*This week is NOT named for “master carpenters”, although they are certainly welcome. The name “Masters Week” intends to attract anyone interested in a slower pace and reflective atmosphere, while still serving the community in a meaningful way. How does Masters Week compare to other weeks? “I’ve had the blessing to experience both “traditional” weeks as well as a Masters’ Week at Bethlehem Farm. I felt that Masters’ Week offered me an opportunity to experience all the wonderful aspects of a week at the Farm at a little slower pace. Work projects and chores were a little less strenuous, but by no means boring or unessential. 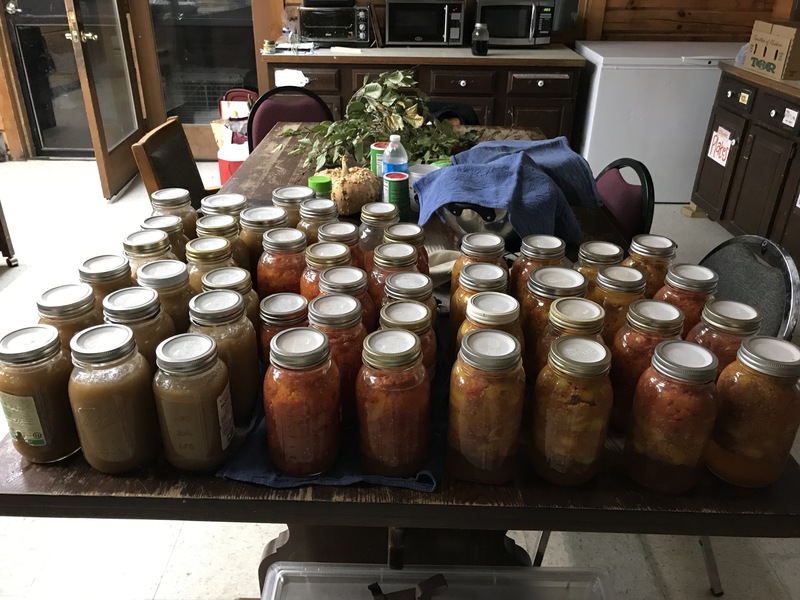 One day in the kitchen, my companions and I worked for several hours to prepare and can over two dozen jars of tomatoes! I felt that everyone was a little more at ease and generous with their time. House chores seemed to go more quickly and easily. I also found that the week with mostly adults offered time for deeper conversations and prayer experiences. It seemed that adults are more willing and able to share at a deeper level. The house felt more quiet and retreat like…although laughter and fun, of course, is also important, no matter how old one is! “I have experienced the week set aside for adults at Bethlehem Farm since its inception in 2005. They have been wonderful, prayerful, fun, joyous and sometimes very challenging. 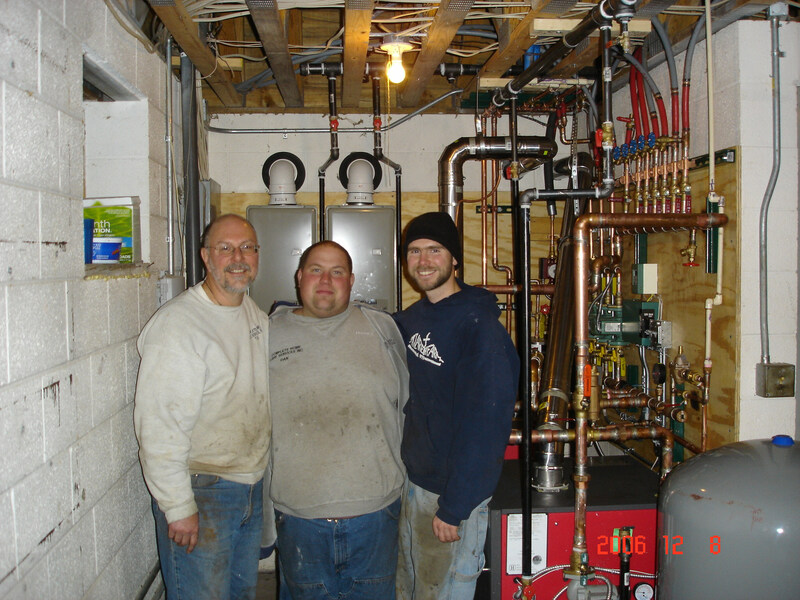 As a team we have always accomplished a great deal, not only in home repair, but also in bonding in new ways with many other adults, and inspiring each other with new ideas on how Christ is present in our lives and in the lives of every living thing around us. Prayer with like minded adults can be so much more diverse and meaningful, especially in the glorious surroundings of Bethlehem Farm. By participating in Adult Weeks I have grown in my relationship with others and in my relationship with Jesus. The last few years as my body has “matured” I have noticed that physical challenges have become even more so. The heat and humidity of July, the struggle of keeping up with those younger than me have made wonder how I could still keep up with the week I cherished each year. Bethlehem Farm responded by establishing a Masters Week (I love the gentle way they named it). First of all it takes place in September when it is cooler and less humid. Second it is from Saturday until Thursday with one less work day. The content of the week is the same. The accomplishments of the week are the same. I find myself just as fulfilled. Click here to find all the forms necessary for registration. HOW DO I PREPARE FOR MY WEEK? Click here to find all your participation forms and trip prep information. WHAT HAVE OTHER ADULTS SAID ABOUT THEIR MASTERS WEEK EXPERIENCE? Contact our volunteer coordinator, Steve, at volunteer@bethlehemfarm.net or call us at 304-445-7143. We hope to hear from you!